When is visual communication right for B2B inbound marketers? Visual communication is generally considered to involve graphics, images, video – conveying messages and information via a visual stimulus. If your business makes products that are not particularly photogenic, or are complex in nature, or you offer a service that has no physical manifestation - such as a box or packaging - you may feel that visual communication is not for you. You could be forgiven for thinking that your product or service can’t be communicated successfully in a visual medium. You might even feel it’s just too boring. But are you right? If not, what CAN you do? 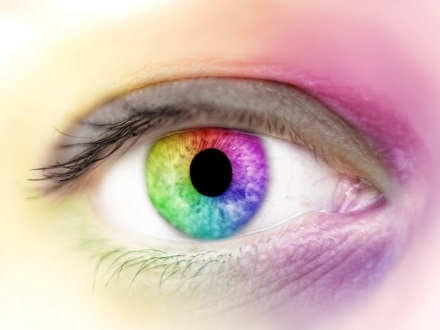 And just when is visual communication right for B2B inbound marketers? The simple answer to this last question is: always. It is always right. In fact, it is essential! Today’s media landscape is cluttered with a multitude of channels, all clamouring for attention –all fighting for a moment of the viewer’s time. And that is all they have – a moment. In order to survive in today’s jungle of messages, your message has to stand out – instantly. The key way to do that is with a visual – whether moving, still or graphic. Catchy headlines are all well and good, but they will always lose out to a striking image. This is partly to do with the brain’s speed of processing. Most research suggests that someone who is a fast reader will read (and comprehend) at best, 400 words per minute. If we assume a short sentence length of ten words – just enough to describe a simple idea, concept or product benefit – then that is 40 sentences a minute. So let’s say it takes 1.5 seconds to understand a ten word sentence. But according to research by MIT, the brain can make sense of an image in as little as 13 milliseconds – an incredibly short space of time and over 100 times faster than text. The brain doesn’t really like extra work, so we prefer images to text – they require less work to understand and make sense of. In addition, an image can contain a lot of meaning, context and data. A picture really can paint a thousand words. So given that the brain is always going to favour images over text – how does this play out in the real world of inbound marketing? We’ve known for a long time about the popularity of videos and infographics for communicating ideas and data. Content containing relevant images gets 94 per cent more views than content without. Social media is now prioritised to display images and videos, with the rise of mobile driving that trend. Videos are predicted to make up 84 per cent of Internet traffic by 2018, according to Cisco. Even Twitter, which was originally a text only medium, is now dominated by images – without an image your tweet will simply be lost in the stream – unnoticed and unloved. That’s all very well you may be saying, but I don’t have a beautiful car to sell, or a photogenic product, or a menu of mouth-watering food items – how do I use visual communication to market my serious, but remarkable B2B product or service? An infographic summarising key research findings in your field, for example, or comparing different approaches to a particular industry issue could be featured in a blog post and posted to social media. (Infographics are shared 2x more than presentations, and 3x more than documents on other social networks, such as LinkedIn, Twitter and Facebook.) Here’s a fabulous kinetic infographic about why your brain craves infographics. A series of images that together make up a "how to guide" to tackle a common problem your buyers wrestle with could be posted to any one of a number of social media channels including Instagram, Flickr, Pinterest, Twitter and Facebook. Follow this link to see a whole range of great guides for the GoPro video camera. Or you could create an explainer video that explains your product or service. Or maybe a video that outlines some of the issues that customers face and potential solutions – all of these videos can be posted to social media such as Facebook and YouTube and used on your website, blog or in presentations. Take viewers on a tour of your company – interviewing employees from different departments – giving people the chance to see how you work. Try using humour to help make a serious point. Make short videos of your product specialists answering frequently asked questions straight to camera and post them to your website and/or social media. Case studies are a great way to promote your product or service without doing it directly – here’s a great example from HubSpot. Create a presentation on the issues and potential solutions – which could be posted to SlideShare – like this one on using images from Copyblogger. An image and graphic rich eBook based on research and data from your industry that would be of real benefit to your buyers can be offered on your website. These are just some of the ways you could take a visual approach to marketing B2B products and services. Investing in video will undoubtedly add the most powerful of visual communication tools to your marketing, and it could be that the budget to do so might not be the insurmountable challenge you fear. If video isn't an option, then consider simply adding good quality images to your marketing – your blog posts, social media messages, eBooks and the rest. If you can brand the images in some way – even better. But make sure the images fit with the content. Use your own images where you can and be careful when using stock photography. Well chosen, appropriate stock images can attract the eye and add some flavour and context to a post. But images that are clichéd or have a distinct message of their own, or sit uncomfortably alongside the subject matter, will only serve to distract the eye and the mind and detract from your message. Given the popularity of infographics and video, the undeniable trends towards image-based content, and the rise in popularity of live streaming – you simply can’t afford to ignore the fact that visual communication is not only always right for B2B inbound marketers – it’s essential.